Coupled with drawings that reflect his art, The Absolutely True Diary of a Part-Time Indian tells the story of Junior, a budding cartoonist growing up on the Spokane Indian Reservation as he he attempts to break away from the life he was destined to live. 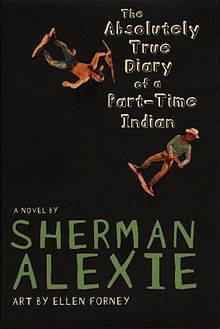 The Absolutely True Diary of a Part-Time Indian is Alexie’s first foray into the young adult genre, and it took him only one book to master the form … The Absolutely True Diary of a Part-Time Indian may be his best work yet. Working in the voice of a 14-year-old forces Alexie to strip everything down to action and emotion, so that reading becomes more like listening to your smart, funny best friend recount his day while waiting after school for a ride home. Maybe it's the combination of drawings, pithy turns of phrase, candour, tragedy, despair and hope that makes this more than an entertaining read, more than an engaging story about a North American Indian kid who makes it out of a poor, dead-end background without losing his connection with who he is and where he's from … Opening this book is like meeting a friend you'd never make in your actual life and being given a piece of his world, inner and outer. 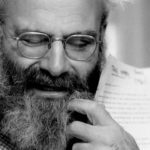 It's humane, authentic and, most of all, it speaks. Most of the plot here is not so much a mystery as it is a lively surprise. Junior, or Arnold, is a nerdy but sympathetic kid who weeps at the drop of a hat, vomits from fear and nervousness, and draws whimsical cartoons to illustrate his story created for the book by Seattle artist Ellen Forney. This is a story about surviving small town schools, which any young adult reader can benefit from. What did you think of The Absolutely True Diary of a Part-Time Indian?